Are you music lover and don’t want to miss any music concert in your town by your favorite bands? Facebook has come up with a solution for this, which will help you and musicians as well. 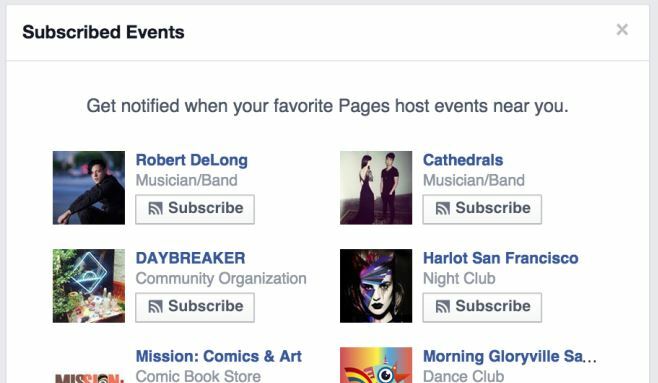 Facebook has added new subscribe button to the Events section, which is to notify users of all events hosted by page in their near vicinity. The feature is available for mobile app as well as web interface. You will receive a notification when the pages you like host any event. This move will definitely help music bands to boost their ticket sales. You can see the events tab in the snapshot, you can subscribe it to get notification of all events hosted. The appearance for subscribe button is at the top of the page and named exactly like “Like” page. Once you subscribe you will get notifications from the pages you liked and the notification look like the ones you receive when you get an invitation from friends. Back in 2010 – 11 Facebook was more like MySpace for musicians and bands. Artists could create a landing tab for Band Page, Which was helpful for people to know about their events. But in 2012, Facebook took away the rights to set a default landing tab. Band Pages lost its traffic very fast and musicians Pages were presented just like any other pages. 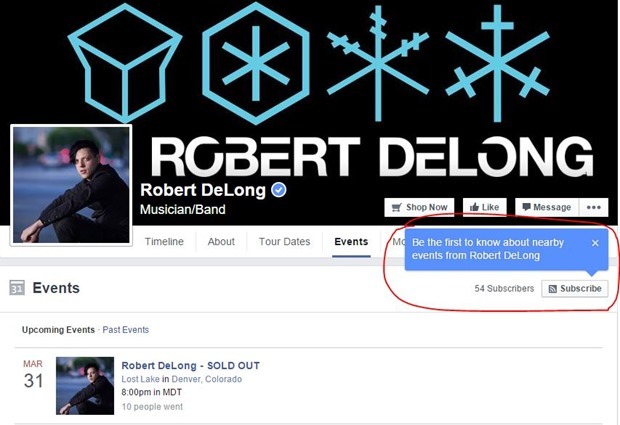 It drastically reduced band pages popularity on Facebook. With this new feature launch, it is a hope that event subscribe button will win some trust from music bands. This new feature can be beneficial for music bands to sell more tickets for their concert as well as it will prove beneficial to local business and others which run events. You will also get suggestions from Facebook to subscribe to artist events and Pages that you have liked. Facebook has also introduced a new feature called ‘On This Day’ just a week before. Now with the help of this feature you can check posts, photos and videos shared by you as well as tagged by others with the same date in the previous years. You will get all in one place. What Facebook is trying to do with these new features is try to keep their users engaged when they are on their platform. Give it a try and let us know what you feel about this new feature! Kuldeep Bisht has been a digital marketer for past 6 years and is known for his work in digital marketing. He is a motivational speaker and entrepreneur.